Your number one priority (or at least, really, really high on the list) is your circus training. Whatever the discipline, you want to put in the hours to work on getting better at…well, all of it. It’s your passion. It lights you up. It’s the thing you want to do. All. The. Time. You are also noticing that your body is feeling somewhat beat up at times. There’s some “stuff” that just doesn’t seem to get better, no matter how much your stretch or foam roll or how often you visit your bodyworker. You actually have an inkling of that you need to some “cross-training” (read: strength training)…but you only have so much energy. And maybe, given your current training schedule, you also have only so much time. Adding something else to the mix feels like it would just lead to overtraining. Besides, you do the conditioning at the end of class, you do a couple of ab workouts throughout the week and you even go jogging. It is possible that there might even be a growing sense of what it is that you need to do to take the best care of your body…but it seems like it would involve taking time away from circus training and you just can’t make it to the level you’re aiming for if you reduce the amount of time you spend training. And then, in the presence of that delightful bit of cognitive dissonance, you find yourself frustratingly circling back to feeling stuck. Let’s be frank: “every damn day” simply isn’t a workable, long-term approach to training. Even if you only have time in your schedule for five days of training rather than seven, if you’re training circus only on all of your damn days, you’re likely going to run into problems. If the scenario I outlined above rings true for you, then I am writing this for you. After all, the above is based on conversations I’ve had with several circus artist-athletes with whom I have had the pleasure and privilege to coach. Let’s first take a closer look at the problem and then let’s talk possible strategies for addressing it. Over the years, I’ve always been excited when there is some form of media coverage of circus classes. It’s a great way to get the word out, again, because circus is awesome. And very often, a thing that the reporters/hosts love to say is that (insert circus discipline here) is the latest and greatest fitness option. Forget going to the gym, they say, circus is a workout by itself—and it’s fun, too! Circus tends to create and/or emphasize muscle imbalances because certain movements get repeated all the time (possibly “every damn day”) while others simply do not. Say you’re training on rope. That’s a lot of vertical pulling—and not much vertical pushing (let alone any other direction). With those vertical pulling muscles exerting an imbalanced load on your shoulder joint, if all you’re doing is circus training, over time that may also end up meaning a cranky shoulder. When training difficult skills or movements, the body will do the most efficient thing it needs to in order to accomplish the task. Even and especially when there is a weaker muscle involved in the equation. As Mike Reinold says, efficient isn’t always the same as optimal. Let’s say that when you were new to circus, you really struggled with inversions on your apparatus. It’s often because inverting on an apparatus requires core strength that’s connected to great shoulder strength and stability and to strong hip flexors. That’s a lot of core control. When you don’t have that combination of strength and control, chances are your body—being a very clever thing—will find other muscles to recruit in the effort to get upside down. The concern is that if you are only ever doing circus training, those helper muscles end up being the dominant muscles, which makes them work harder than is ideal (Hello, hip flexors! I’m looking at you!). More often than not, the nagging aches and pains and injuries that just won’t go away stem from just these sorts of muscle weakness (that force other muscles to compensate and consequently get overworked) or muscle imbalances (usually stemming from an initial muscle weakness situation but having a similar net result). 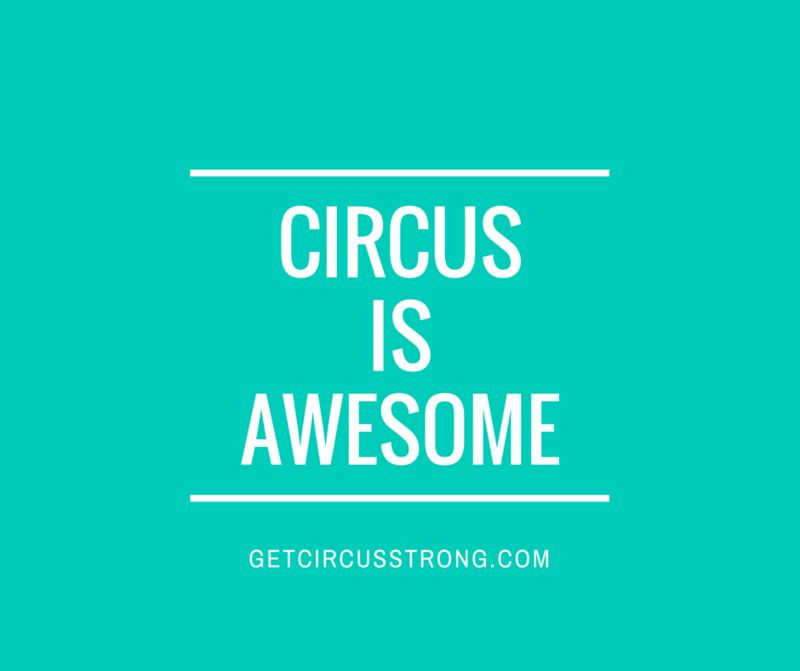 And if you’re not feeling any pain right now but would like it to stay that way, there’s good news: in both cases the solution lies in strength training as an adjunct to your circus training. It will both improve your circus-ing and help to keep your body balanced. I probably haven’t told you anything you don’t already know: adding strength training and conditioning work to your routine would be hugely beneficial. But the question is how to fit it into your schedule without compromising or taking away from your circus training time? Navigating our way to a workable solution is often tricky because so much depends on the unique circumstances, background and fitness level of the individual. That being said, there are a few commonalities I’ve come across that I would like to mention and then offer some ideas for how to address them. 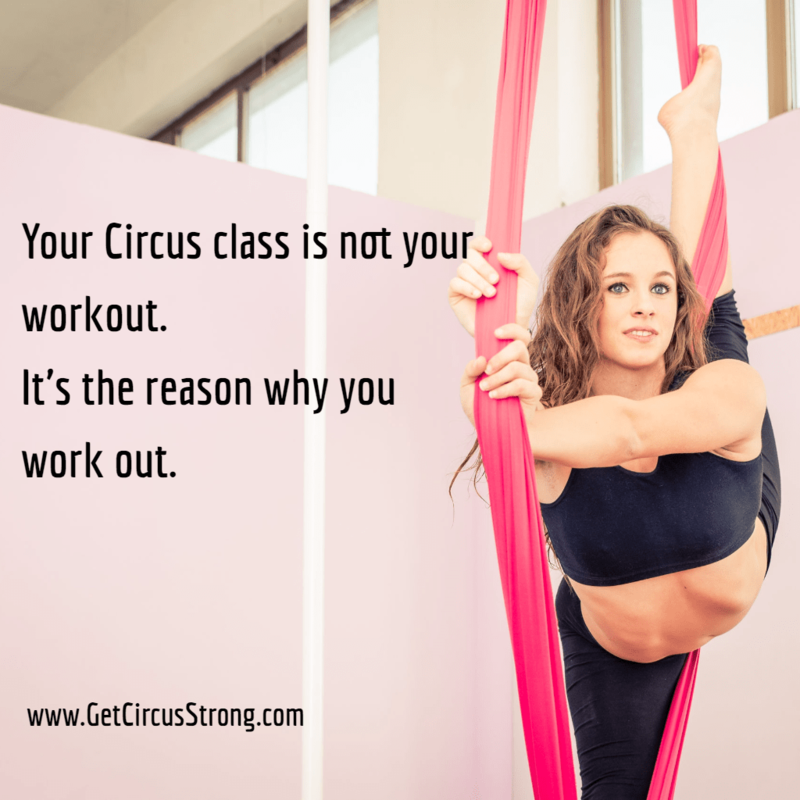 For starters, your circus training shouldn’t be exhausting you. I mention this because it often comes up that people find their existing training regimen takes just about all the energy they’ve got and adding a couple of strength and conditioning workouts to the mix feels like it would be too much. If this is the case, then the solution to that lies in improving your work capacity (meaning short-term endurance) through conditioning. I would start by measuring your resting heart rate (best done first thing in the morning). As a general rule, we’re aiming for fewer than 60 bpm (beats per minute). If it’s higher than that, there’s a chance it would be beneficial to temporarily reduce your circus training volume while you give your system a chance to get this piece sorted out. You can do this in a variety of ways. I would generally recommend some form of interval training rather than long, slow distance-type things (I’m not a fan of jogging). I’ll save specific ideas/recommendations for another post. [alert type=”info” close=”false” heading=”An Aside”] Please, if we could, let’s stop calling everything we do involving exercise “conditioning”. 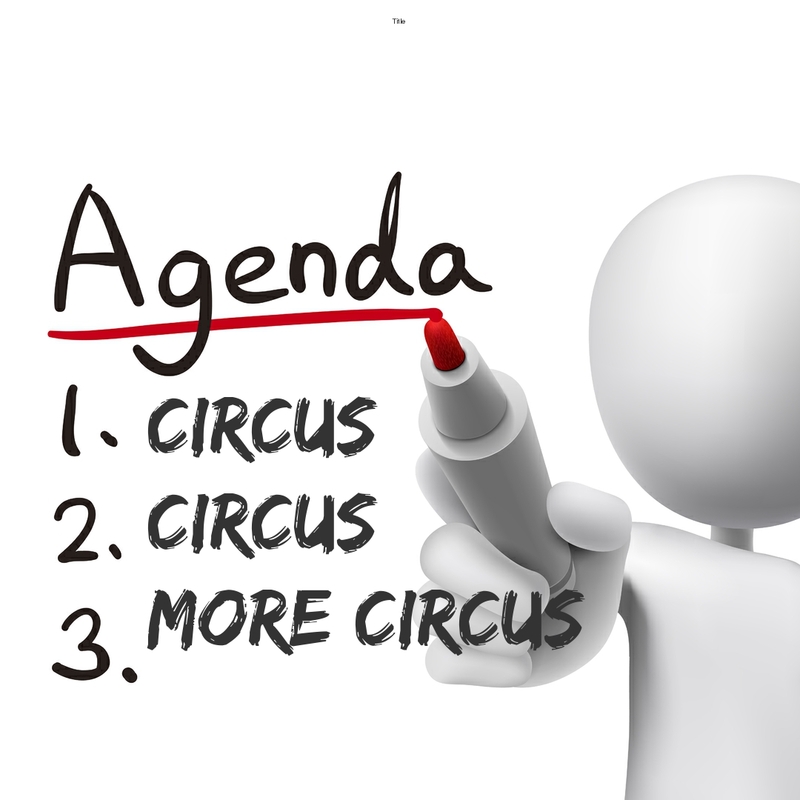 If it’s just that your calendar is already full with all of the circus training, then we get to have the more difficult part of the conversation. Maybe you’re feeling fine, but simply want to have more endurance because classes are so tiring, and you know they shouldn’t feel that way. If that is the case, I would circle back to the energy discussion above. Or maybe you just want to be stronger so that you can do cooler things. It is unfortunately not uncommon for us to be having this conversation because there are nagging injuries or nagging not-quite-injuries (aches and pains) that are most often just a product of either muscle weakness that circus training doesn’t improve or muscle imbalances that circus training doesn’t improve or both. In either of those two cases, the convenient thing is that you already know the answer: you need to add strength training. Improve work capacity so that adding strength training to the mix doesn’t overwork you. Add two to three strength and conditioning sessions to your weekly training schedule. If necessary, temporarily reduce circus training volume to while you gain some strength. This might only take a month or so. Gradually find your way to a balance of strength, conditioning and wonderful, amazing circus. If, in your case, adding strength training means reducing circus training volume—even just temporarily—the net gain, in the long run, is that you get to have a long run in circus. I’m so glad someone made a site to talk about this glaring issue. I come from a gymnastics backgrounds, and I’m always flabbergasted that most people in circus do so little proper strength training and conditioning. In the area where I live and coach, NONE of the circus schools have proper strength training equipment, and making sure my students get trained properly has been a nightmare. I’m a very creative guy when it comes to strength training, but this situation has really put a strain on my ability to add variation to my students’ training. Were they stronger, it would be easy to find more variation. As it is now, I could go walk outside and find better training “tools” than what is available in circus schools around here. It’s really frustrating and I’m leaving town to go train on my own for a while, and I just know that unless my students get an other coach who knows strength and conditioning pretty well, it’ll go to crap. My boss already wants to make their S&C bit shorter (it’s currently an hour long out of four hours), and I’m ready to bet all my money that what he’ll make them do will have no consistency and will be incomplete. Sorry, just really needed to vent to someone who’d understand. But the state of S&C is really sad in my area. I understand your frustration. I also try to remind myself that what we are really talking about here is a paradigm shift for the circus world. Cirque du Soleil has weights on hand for the artists in their shows and they have strength and conditioning coaches on staff…but they have also embraced innovation on all levels (and, to be fair, they have the budget for it). So, we have our work cut out for us! I have to say, I am incredibly lucky to work at a studio where the owners are fully on board with the idea that assessing our athletes and building training plans based on their individual needs will not only make people perform better, but reduce injuries…but that means it’s possible.